Gingrich argued that original Medicare — based on a 1960s-style fee-for-service benefit package with a confusing set of deductibles, co-insurance, and copays — was stuck in the past. He saw a day when Medicare-contracted private health plans would prove so attractive that Medicare beneficiaries would have to choose them. It’s taken a generation, but Gingrich is on the verge of being right about Medicare. Medicare began experimenting with managed care as an alternative to the original program in the 1970s, and annually contracted health plans — called Medicare+Choice — were made a permanent part of the program in the 1990s. Because of funding reductions, it initially floundered. 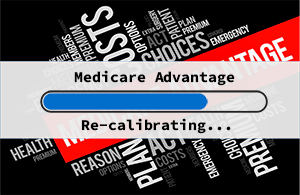 That changed in 2003 with the passage of the Medicare Prescription Drug, Improvement, and Modernization Act, which renamed the program Medicare Advantage, raised payment rates, and added risk adjustment to the payment methodology. Leading managed care companies, such as UnitedHealth Group, Humana, Aetna, and Blue Cross Blue Shield companies, began marketing Medicare Advantage products every fall. So did dozens of smaller and health system-owned health plans. 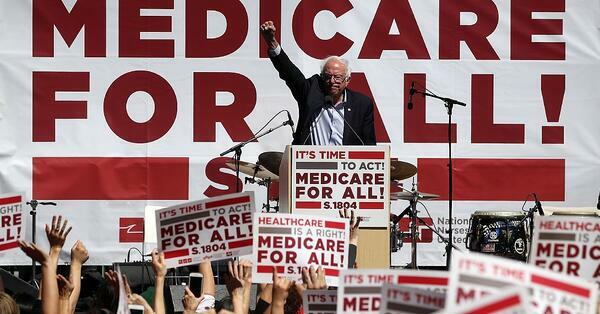 with Medicare, up from about 11 million people a decade ago. This has occurred despite a gradual phase down in funding put in place by the Affordable Care Act. 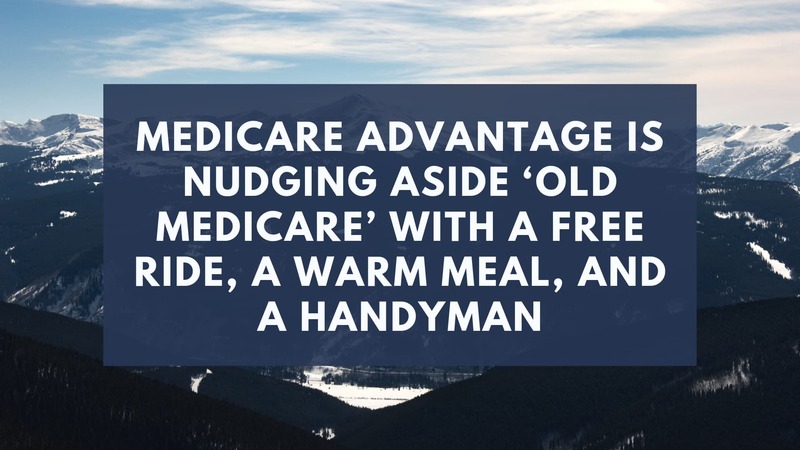 In 2019, Medicare Advantage plans stepped up their coverage to include the delivery of meals, rides to physician appointments and pharmacies, home safety improvements, and a host of other new benefits. As described in a new report on Medicare Advantage plans that one of us (M.A.) co-authored, 153 Medicare Advantage plans are now leveraging new Trump administration guidance and experimenting with 842 “flex benefits” this year. These benefits fall into two broad categories: reducing costs to encourage members to receive preventive care, such as free primary and podiatry care for people with diabetes; and non-medical benefits, such as home-delivered meals following a hospital discharge, home safety interventions, and non-skilled in-home caregiving. Medicare beneficiaries select Medicare Advantage for a variety of reasons. These include catastrophic cost protection, care management programs, and a range of mainly health-related supplemental benefits such as dental checkups, eyeglasses, hearing aids, over-the-counter drugs, and gym memberships. The trade-off for these extras is limited choice of providers and managed care tools like prior authorization. These limitations put off some Medicare beneficiaries, but have not dampened the high overall satisfaction with Medicare Advantage or its continued growth. 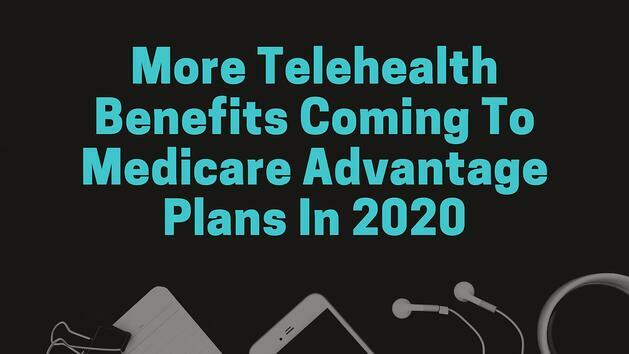 Medicare Advantage’s competitive edge over original Medicare will take another step forward in 2020 when plans are expected to gain additional flexibilities in offering non-medical benefits for people with chronic diseases. The next wave of new benefits can include anything that the Centers for Medicare and Medicaid Services deems “has a reasonable expectation of improving or maintaining the health or overall function” of enrollees with chronic diseases. While CMS has not yet offered its final guidance, this will likely include meals, transportation, pest removal, and activities that combat social isolation and depression, which could include companionship services and pet therapy. Some of the brightest minds in managed care are working to determine whether relatively inexpensive, newly permissible benefits like these will pay for themselves by reducing the number of expensive medical procedures. Actuaries at Wakely Consulting, for example, have modeled the value of a falls reduction benefit. Using Medicare claims data, they determined that injury-causing falls are associated with spikes in medical costs that average about $10,000 compared to pre-fall costs. So an intervention that reduces falls by even 10 percent would likely pay for itself if it costs less than $1,000 per fall-prone member receiving the service. Hiring a handyman for a couple hundred dollars to install grip bars in a shower or modify cabinetry would be a bargain. How does original Medicare stack up in comparison to Medicare Advantage? The Affordable Care Act and the Medicare Access and CHIP Reauthorization Act (MACRA) introduced value-based reimbursement reforms into original Medicare. These may make the program a more efficient payer, but they do not necessarily improve benefits for Medicare beneficiaries. 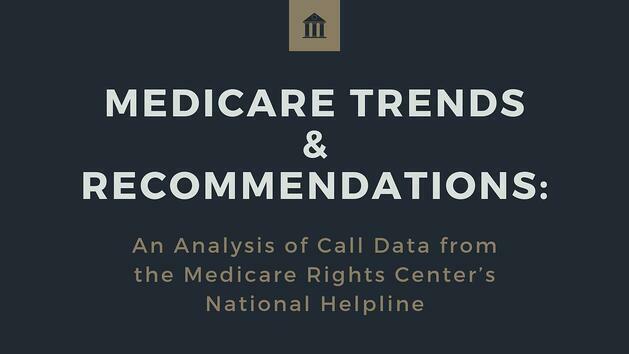 Medicare Supplement Insurance (Medigap) continues to be purchased by roughly 13 million Medicare beneficiaries. It plugs gaps and simplifies original Medicare’s idiosyncratic coverage, but it is too expensive for lower-income beneficiaries. 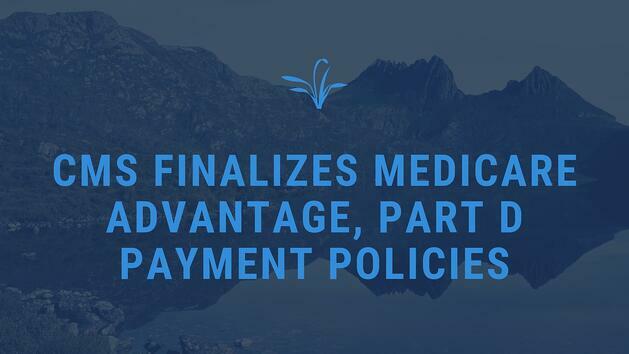 In addition, state and federal laws prevent Medigap from keeping up with Medicare Advantage. A 2017 report by the National Association of Insurance Commissioners demonstrates that only a handful of states permit Medigap carriers to offer any “innovative” benefits. And the modest flexibilities permitted — such as eye exams — pale in comparison to the richness and diversity of Medicare Advantage benefits. In subtle and unsubtle ways, the Trump administration has seeded the ground for massive gains in Medicare Advantage enrollment. These include loosened restrictions on marketing Medicare Advantage plans, new consumer tools that accentuate the advantages of these plans, greater use of telehealth than permitted in original Medicare, the elimination of “meaningful difference” tests that limit the number of Medicare Advantage plans in a given market, and extra time for plan sponsors to secure a provider network. Meanwhile, the administration has finalized a regulation that may substantially lessen the number of accountable care organizations participating in original Medicare — the original Medicare reform with the greatest potential to align providers in reimbursement systems outside of Medicare Advantage. Congress has also quietly added tools to Medicare Advantage that aren’t available in original Medicare. A little-noticed MACRA provision will remove two of the most popular Medigap plans from the market in 2020, further weakening its value proposition versus Medicare Advantage. This is not an accident: Many conservatives have long disliked original Medicare’s centralized pay schedules and the perverse incentives of fee-for-service medical care. And many liberals are willing to strengthen Medicare Advantage if that’s the only way to offer more generous health care coverage to seniors. Intentionally or not, Congress and various administrations have created two Medicare programs: the original fee-for-service program with rules and coverage that the private market largely abandoned decades ago, and a managed care program that has just benefited from another set of favorable legislative and regulatory tweaks. Maybe it is unfair that policy makers are favoring Medicare Advantage. But if this is the only way to deliver modern and more generous health benefits to Medicare beneficiaries, then a thumb on the scale is better than denying beneficiaries access to 21st-century benefits. It’s no wonder that Medicare beneficiaries are voluntarily leaving original Medicare — voluntarily. MA plans play an increasingly important role in the Medicare program, with enrollment growing from about a quarter of all Medicare beneficiaries (or 11 million) in 2010 to 34 percent of beneficiaries (approximately 20 million) in 2018. And, according to the Congressional Budget Office, enrollment in MA is projected to exceed 40 percent (32 million) of the total Medicare population by 2028. MA’s popularity indicates that it works well, and one of the reasons the system functions as well as it does is that plan payments are adjusted for the health risks of enrollees. Until now, the Centers for Medicare and Medicaid Services (CMS) has estimated its MA risk-adjustment models using data from traditional Medicare, but the agency has signaled in the past its interest in using encounter data from MA to estimate (or recalibrate) the model. 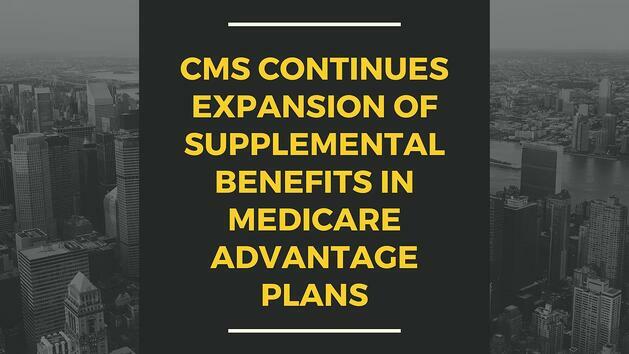 CMS reiterated this interest in its fiscal year 2020 performance budget. Under such recalibration, CMS would recalculate the coefficients for the demographic characteristics and health conditions based on MA encounter data, instead of on traditional fee-for-service Medicare claims. UnitedHealthcare and the American Medical Association said Tuesday they want to expand the set of ICD-10 diagnostic codes to include more specific diagnoses related to a person's social determinants of health. The hope is that these codes would allow clinicians to document patients' social determinants in a standardized way, which would allow them to better tailor care plans or refer patients to community organizations that could meet those social needs. "If someone has a transportation barrier and they are unable to get to their doctor's appointment or to pick up their prescription, today in the ICD-10 codes, there isn't a way to diagnose that," said Sheila Shapiro, senior vice president for national strategic partnerships in UnitedHealthcare's clinical services team. "There is no common way for the system to communicate around not only that barrier, but the solutions that can be brought to assist that individual." Today, a clinician may use medical code that identifies a patient as low-income, but that's as granular as it gets. UnitedHealthcare's proposed set of codes would more specifically identify the person as unable to pay for transportation for medical appointments of prescriptions, for instance. That would then tell the healthcare provider they should order prescriptions mailed to the home or possibly provide some form of transportation, explained Dr. Tom Giannulli, chief medical officer at the AMA's Integrated Health Model Initiative, which is supporting UnitedHealthcare's proposal. Expanding diagnostic codes related to social determinants of health is another step in the healthcare industry's journey to address those factors outside of the doctor's office that often have a greater impact on outcomes than clinical care. In recent years, social determinants have become a buzzword in the healthcare industry as insurers and providers have looked for new ways to control health spending. Now insurers and health systems are moving beyond initial pilot projects to address those factors in a sustainable, scalable way. The existing ICD-10 family of diagnostic and procedural codes includes 11 codes that identify social and environmental barriers to a patient's care, but they are broad categories. UnitedHealthcare's proposal would add 23 more codes to that list. Some of those codes would indicate a patient's inability to pay for prescriptions, inadequate social interaction, or fears about losing housing. Trenor Williams, the founder of Socially Determined, a company that uses data to help organizations build programs to address their patients' social needs, said expanding the codes to include more specific diagnoses is a good start and an opportunity to better document social risk factors among a population. It also could prompt more discussion among stakeholders about providing reimbursement that is risk-adjusted based on a patient's social determinants, Williams said. Some groups, including the National Academy of Medicine and the Medicare Payment Advisory Commission, have explored the feasibility of adjusting Medicare payments for socioeconomic status. Congress has also commissioned reports on the subject. But so far Medicare payments remain unadjusted for social factors. UnitedHealthcare presented its recommendation to expand the codes at the ICD-10 Coordination and Maintenance Committee meeting in March. Following a 60-day comment period, the committee will determine whether to act on UnitedHealthcare's recommendation in the early summer. The new codes would be available to use as early as 2020, if the committee approves them, Shapiro said.